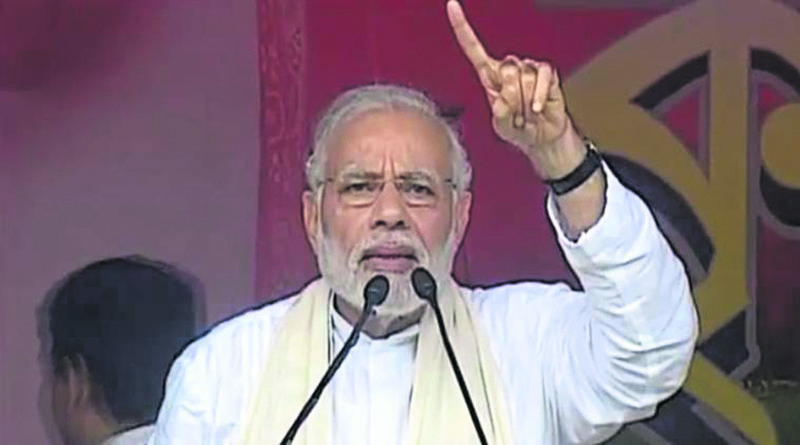 THAKURNAGAR (WEST BENGAL): Prime Minister Narendra Modi launched blistering attack on West Bengal Chief Minister Mamata Banerjee, accusing her of orchestrating violence against BJP workers, claiming she had become jittery due to people's love for his party. He also accused his political rivals of misleading the distressed farming community through farm loan waivers. Modi also made a strong pitch for the passage of the Citizenship (Amendment) Bill that seeks to accord Indian citizenship to non-Muslim minorities from Pakistan, Afghanistan, and Bangladesh who fled their countries due to religious persecution. Before the rally, Modi visited the Matua Thakurbari and sought the blessings of Baro Ma, the current leader of the community and widow of the founder of Matua Mahasangh Harishchandra Thakur.